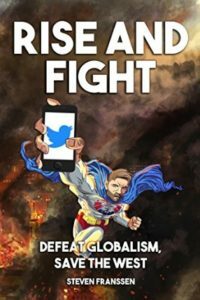 This book tackles the culture war head-on and equips the reader with successful strategies for challenging the globalist elite maintaining a stranglehold on public discourse. A war for the soul of civilization is raging between the average citizen and an establishment elite that has held power for generations. The stakes have never been higher. With their use of the corrupt mainstream media, immigration laws that invite inassimilable peoples into our lands, and a ruthless will to power, one thing is clear: the elite are playing for keeps. While we still hold certain advantages, detailed within, we must be willing to defeat them at every turn and go on to total victory. This book is not approved by any board of licensed professional counselors nor would it be in the interests of a board to do so. This book is for those who would like to get to know themselves better but have not the time to manage a relationship with a therapist who is ignorant of philosophy and its importance in the modern world. 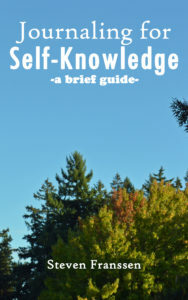 After reading this book you will have more empathy for yourself, plenty of tools for self-therapy, and knowledge of the structure of your inner world. You will also have gained more empathy for others, a keener sense of interpersonal boundaries and why they matter, and knowledge of how to build a strong adult life anchored in reality. Additionally, this book serves to combat the abuses of nihilism, political correctness, radical egalitarianism, leftism, and licensed counseling that so often harm well-meaning people. Lastly, this book will help you to stir up the good kind of trouble. 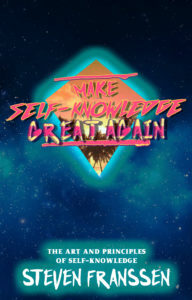 In order to save civilization we must Make Self-Knowledge Great Again! This novel delves into themes of trauma recovery, self-knowledge, boundaries, peaceful parenting, self-dialogue, finding one’s purpose in life, proactivity vs. reactivity, entrepreneurship, Islamic terrorism, friendship, and the process of learning. -What are the modes of journaling? -What is the content of journaling? 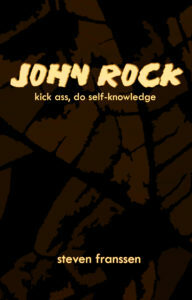 John Rock is a wild, unconventional action hero tasked with saving a beautiful aid worker from the clutches of an African warlord. With a head full of dysfunctional irreverence and a heart full of courage, John storms through all manner of enemies to try and save the day. This hilarious book features a homosexual cat, gun battles, double crossings, and characters with all kinds of quirks and complexities. 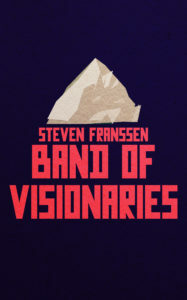 Themes featured are self-knowledge, interpersonal boundaries, grandiosity, and philosophy.